It was so hard to choose five winning book cover designs! 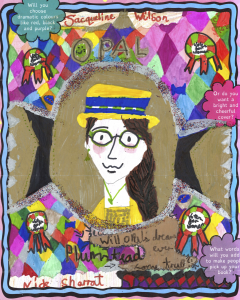 All of your entries were brilliant and we bet you’ll make great illustrators like Nick one day! This cover is so eye-catching from the multi-coloured pattern in the background, to the shiny metallic details. We’d definitely pick this one off the shelf! 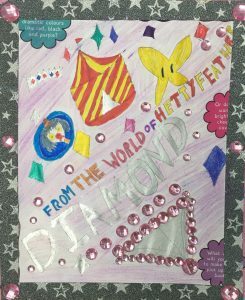 Emily has used ribbon around the edge of her design to frame it and dotted pink diamantes all over. We think it really added something different to her design! There are so many different patterns and colours in Freyja’s design that we spot new ones each time we look at it. We loved that she used so much detail. 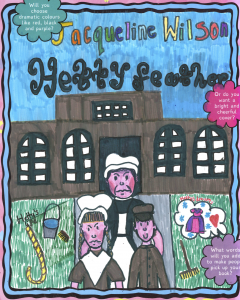 We think Holly’s design tells you all you need to know about what Hetty Feather is about to make you want to read it! 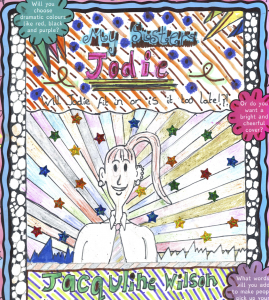 We also love the curly lettering she used for the title. 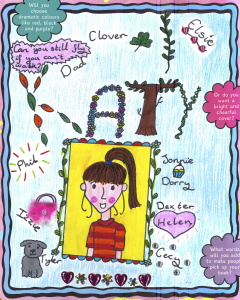 We loved this design because of the arty way Erin has used leaves, flowers, trees and vines to write the title. She’s also incorporated the vines into the border around Katy, too! Congratulations to all our winners! 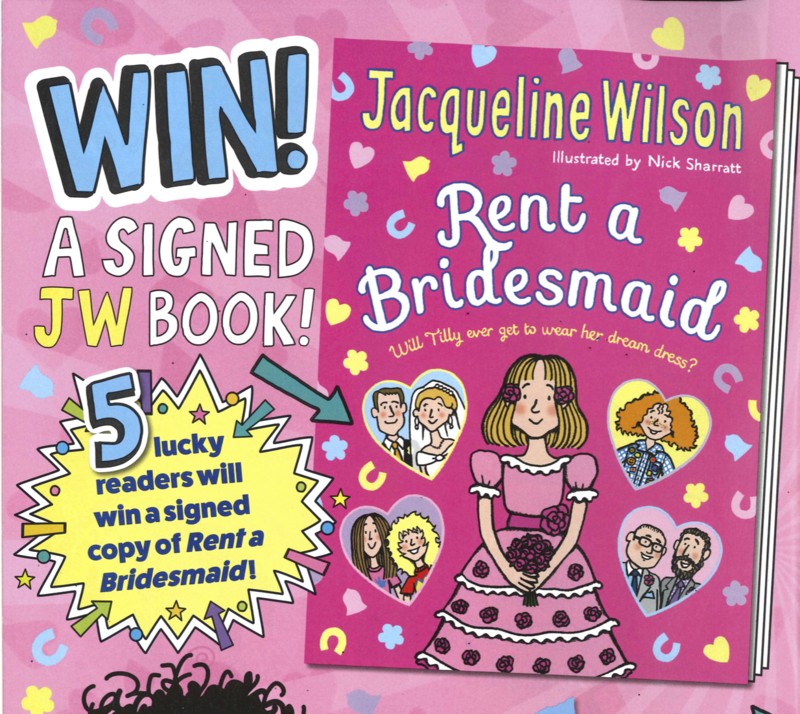 You should receive a signed copy of Rent a Bridesmaid by Jacqueline Wilson in the post in the next few days! Next story The Official JW Book Club – Star Reviews! Previous story Dolls’ House Design Comp WINNER!